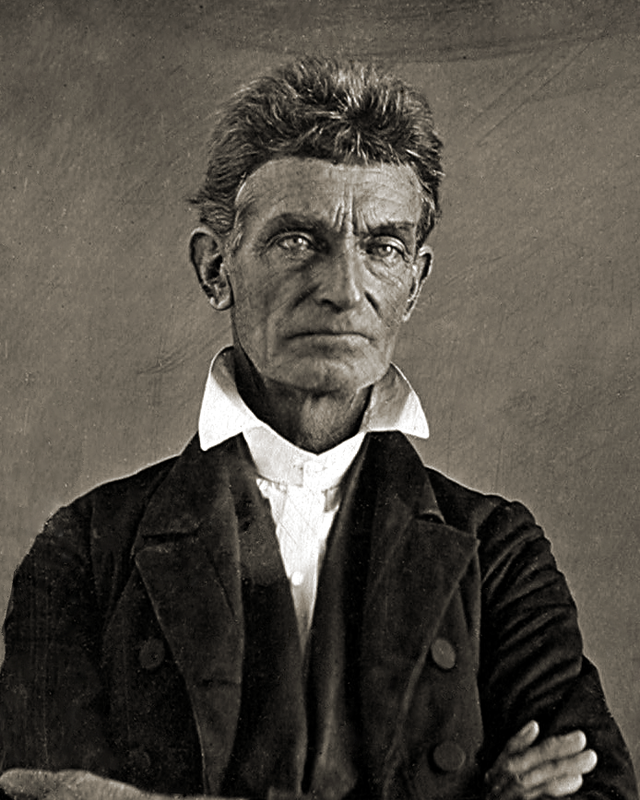 We left John Brown and proslavery Missourians both anxious about Kansas. Joshua Giddings could promise no war, but Brown had to deal with the real prospect and the Missourians seemed bent on ginning it up even if they had to canvass the whole South for the job. Franklin Pierce declared from the White House that the free state movement constituted an insurrection and must cease or face suppression. The free state movement responded by running elections and forming a government in which Brown’s eldest, John Junior, served as a legislator. When the government met for the first time, at Topeka, Junior set to forming a set of laws for the state of Kansas. The legislature approved of those laws, but disappointed the Browns all the same. They could pass laws easily enough, but at the urging of Governor Charles Robinson they delayed enacting them until such time as Washington accepted them as the real government of Kansas. Instead, the main affirmative act of the Topeka government involved electing two Senators, Andrew Reeder and James Lane, and dispatching Lane off to Washington with a memorial pleading the case of a free Kansas to Congress. Junior signed the memorial. He later claimed that about that time Lane also initiated him into the Kansas Regulators, aka the Kansas Legion. Stephen Oates, the elder Brown’s biographer, notes that no evidence besides Junior’s word points to his joining the Regulators. His endnotes go into no more detail than that, which leaves me puzzled. It would fit the characters of Lane and Junior both at this point for him to have signed up. A chip off the old block, Junior didn’t shy away from militant talk. He didn’t go to the polls with a small arsenal expecting not to need it. Nor would we necessarily expect a full roster to have existed. Individual companies of Regulators and other groups may have kept muster rolls, but such an incriminating document would not circulate widely if they did. As winter melted into spring, colonization of Kansas resumed largely from the free states. Many of the men now arrived armed and willing to fight to make Kansas free. April brought copies of the proslavery laws of Kansas into the hands of many lawyers and judges who would soon begin the court season. Junior, and many others, had broken those laws simply by saying no one had a right to own a slave in Kansas. With the opening of the court term, they might face formal consequences instead of informal brawls. The district court with jurisdiction over the Browns would meet at Dutch Henry’s tavern, a proslavery gathering place run by alleged thieves and rapists. Sterling Cato, a proslavery man, would preside. Now the Browns, and many others, might find out just how far they could go in ignoring the bogus legislature. This entry was posted in Bleeding Kansas, Road to War and tagged Andrew Reeder, Antislavery, Charles Robinson, Franklin Pierce, James Lane, John Brown, Joshua Giddings, Missouri.